The $350 becomes available in credit once a merchant sets up the kit, which includes things like a "table tent" and a matching base that sits under Square's chip and wireless reader. Square noted that the reader itself is being discounted to $29 "for a limited time." To prove they've set everything up, merchants must take a photo of their countertop and submit it to Square through their dashboard. The kit also includes worker training materials, designed to teach staff about how Apple Pay functions. Square has supported Apple Pay since Nov. 2015, bolstering options for independent businesses wanting compatibility with the technology. 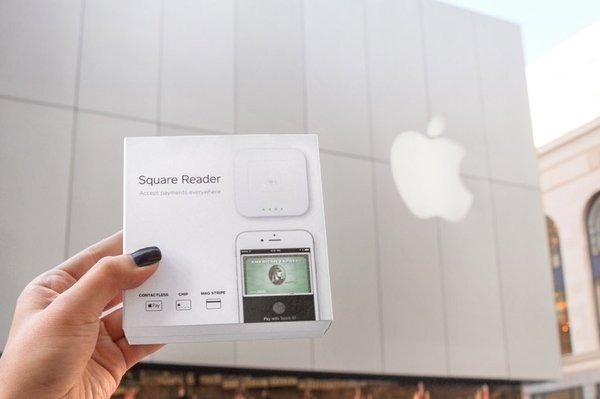 The new efforts suggest that Apple and/or Square want to ramp up support by small businesses, which still often rely on conventional card/chip readers given the potential costs of setting up an NFC-ready sales terminal. In the U.S., most stores and services accepting Apple Pay still belong to large chains, such as Chik-fil-A and Walgreens. The situation is more complex overseas, since some countries —like Japan —have better infrastructure for wireless payments. Expansion is continuing both domestically and abroad, but often through new card issuers rather than vendors.